Noticed Wikipedia a lot when doing a Google search? If you have, Jure Cuhalev has done a study confirming your experience. He finds that 81% of the time Wikipedia shows up in the top 10 results. Similarly, Yahoo and MSN also exhibit the same trend. It's a little surprising to see Wikipedia pages get such high PageRanks since anyone can edit them. 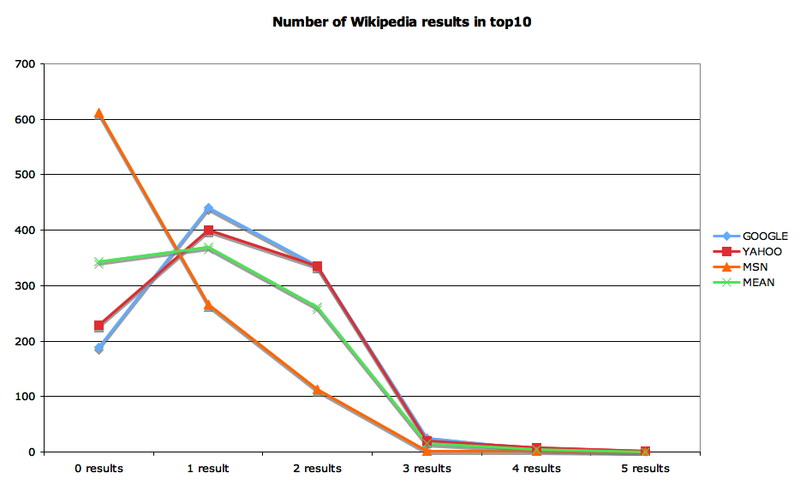 On reflection, it isn't so surprising since Wikipedia is referenced a lot, especially by bloggers when they want to quickly point to a resource explaining a possibly obscure subject. 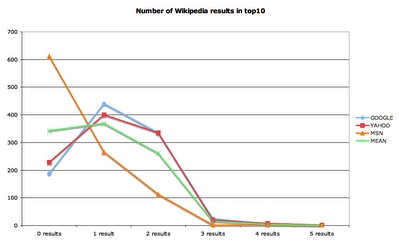 However, spammers often attempt to get their sites listed in Wikipedia to take advantage of their high PageRanks. Google must really believe in the ability of Wikipedia's editors to detect spam and quickly deal with it.